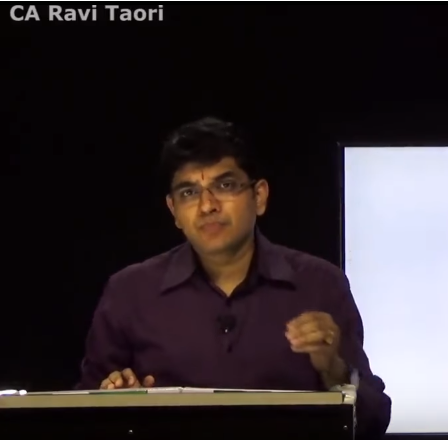 Sir, Your video lectures on SAs were very helpful. 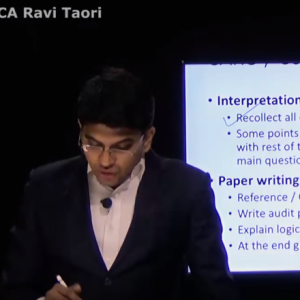 What happened was, the book which I reffered for CA final audit was not that good for understanding the concepts because the content was a bit summarised, so I saw your lectures of SAs and after that the SAs were like injected in my DNA. I remember that even while writing the exams i was able to recollect the examples given by you. The content in the lectures is thorough and the summary at the end of each SA is crisp. It was a nice learning experience and comfortable too. Thank you sir !! Sir, u gives us easy n logical way to learn & also help us to make that boring subject to an interesting 1… U r amazing teacher & friend. 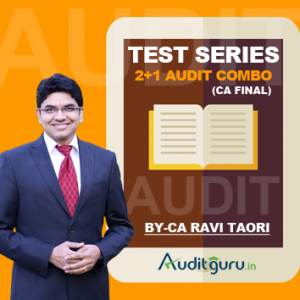 Audit was like CA final’s monster subject of first group for me…bt after learning it from Ravi Taori sir i m feeling like it is the easiest one… Thank you sir for your amazing techniques of using pictures n slides which make us to remember the topics very easily & nw we dont need to mugup the subject..specially the professional ethics…n also the friendly environment which you provides in class help us to ask as many silly doubts without any fear…you the the best faculty for audit i must say… Thanks again to u sir…!!! Its rightly said that” all big things come in a small package” this I actually experienced yesterday in more or less 10 hours first of all I would like to thank my friend whu referred me to take ravi sirs quick revision class at this crucial point of time and secondly a big THANK YOU to you sir for a fruitful energetic interactive bang on session your simple(funny) tricks to memorise clauses would be of great help for every student out there and yes 1 thing which keep us stick to him for continous 10 hours and definitely cant be ignored at all is sirs charming personality.THANK YOU once again sir for the guidance notes ppts images tricks touch on exam pattern and most importantly your pactical examples which helped us to connect to the matter really well. 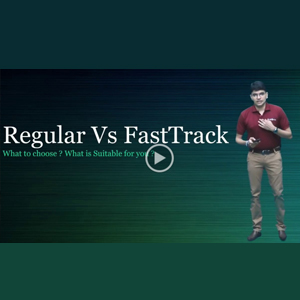 thank you so much sir fr ur quick revison it helps me to revise n retained quickly. I attended sir’s 1day class and found it very useful. 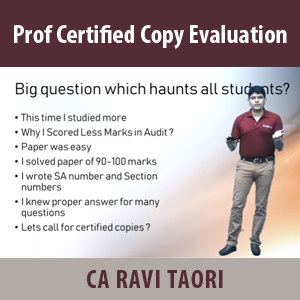 Audit has been a very confusing subject for me and I lacked writing skills especially in auditing standards after attending his class I gained confidence , notes given by sir are very precise n very useful. 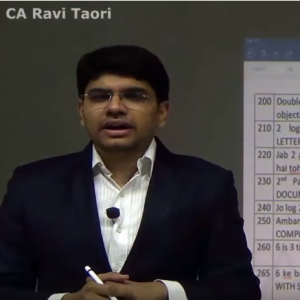 The audit reports which he showed were very useful in understanding the difference between compliance framework and fair reporting framework and he explained 700 series of standards vry well. He made us to remember all clauses of P.E and audit report by memorising picture technique which was very unique. I am very thankful to u sir for ur class. thanks a lot sir…you explain really well. Thank you so much for providing us such an amazing discussion point (Q&A section) along with real time exam updates and videos. No matter am studying at home, I feel like an Audit Guru is always there with me to resolve my any doubts and queries. All efforts are much appreciated! You are truly an Audit Guru. 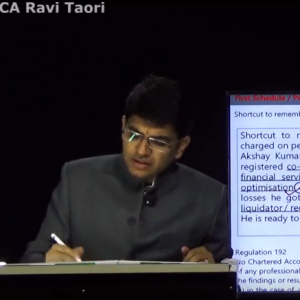 Sir, Your today’s session in Mumbai was superb, It helps a lot Thanks a lot…..
Sir made us to remember all clauses of P.E and audit report by memorising picture technique which was very unique. I am very thankful to u sir for ur class. I had attended ur regular audit class as well as the one day class. 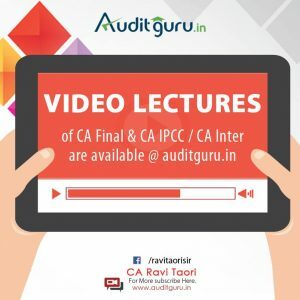 Audit has never been a scary subject for me as u were there in ipcc as well as finals. 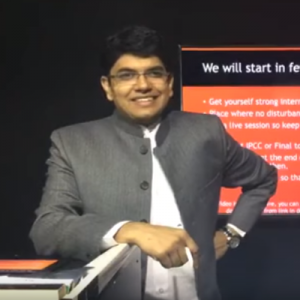 The effort put by you for making such innovative techniques to remember the clauses of Professional Ethics & Tax Audit is really commendable. The video on caro was awesome. Anyone who has never studied CARO could understand and remember. Thanks for being there and solving all the doubts. Thank you so much sir, for your quick revision it helps me to revise & retained quickly. 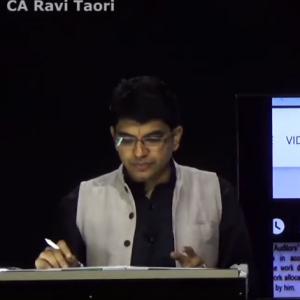 THANK YOU once again sir for the guidance notes ppts images tricks touch on exam pattern and most importantly your pactical examples which helped us to connect to the matter really well.